Lil Scrappy turned himself in to Atlanta police after refusing to submit to a court-ordered urine test as apart of the probation. Back in March Scappy tried to turn in a urine sample that was cold and possibly tampered with, reports TMZ. He was asked to submit another sample and he refused, resulting in a warrant being issued for his arrest. 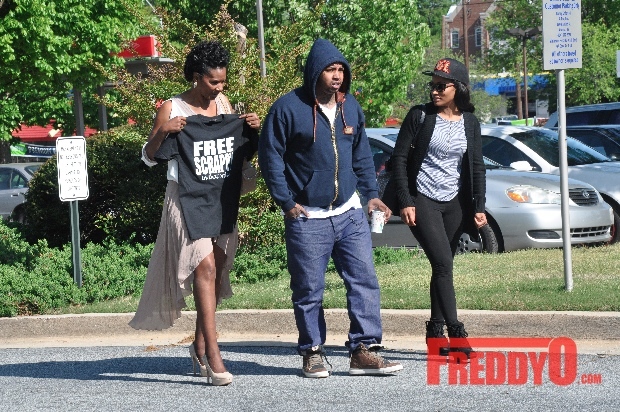 This morning the Love & Hip Hop: Atlanta star turned himself in accompanied by his fiancee Erica Dixon and his mother, Momma Dee. 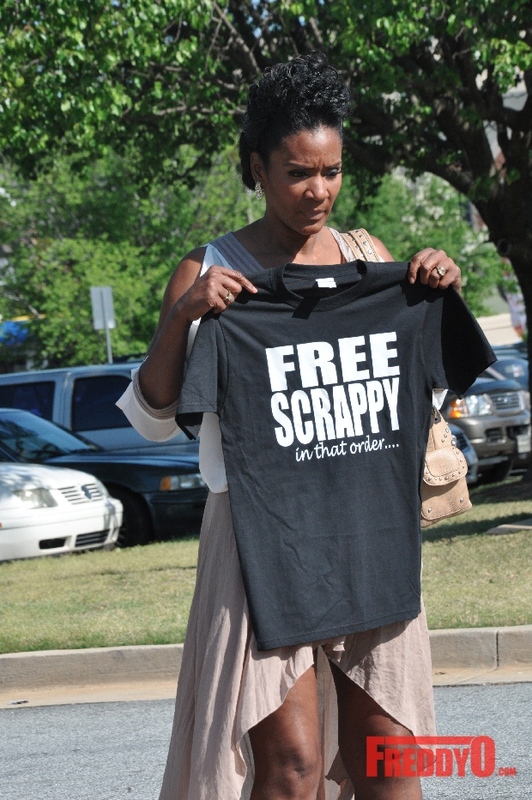 His mother brought the drama with a “Free Scrappy…In That Order” t-shirt. Of course, VH1 cameras were there to capture the moment.